POSITION: The Michigan Immigrant Rights Center (MIRC) is seeking an Immigrant Children’s Staff Attorney in our Kalamazoo office. The successful candidate will have an emphasis on working with unaccompanied immigrant children, will collaborate with local community programs, conduct outreach and legal screenings, and represent immigrant children in removal proceedings. This candidate will also be involved with supervising law clerks, appeals, and other advocacy on behalf of unaccompanied immigrant children. This is a chance to join a talented team doing important and challenging work at a critical time. DESCRIPTION OF PROGRAM: MIRC is a legal resource center for immigrants and immigration advocates across Michigan with offices in Ann Arbor, Detroit, Grand Rapids, and Kalamazoo. MIRC’s work includes direct representation, pro bono referrals, impact litigation, training, coalition building, advocacy, technical support, and more. MIRC is part of the Michigan Poverty Law Program (Michigan PLP, LLC), a non-profit law firm whose administrative services are provided by the Michigan Advocacy Program (MAP). Visit michiganimmigrant.org for more information. QUALIFICATIONS: Applicants must be licensed to practice law in Michigan, qualified to be admitted by waiver, or able to take the next Michigan bar exam. Applicants must possess excellent communication, collaboration, analytical and problem-solving skills as well as a demonstrated commitment to protecting the rights of immigrants or other persons in poverty. 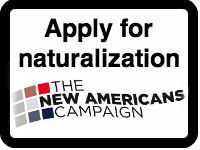 Applicants who have experience, especially related to immigration and poverty, will receive priority. Applicants who are able to communicate effectively in Spanish will receive priority. TO APPLY: Complete this application form and submit your resume, a list of three professional references, and cover letter by email with “MIRC Attorney Position” in the subject line to jobs@michiganimmigrant.org. MIRC is an equal opportunity employer. Minorities, persons with disabilities, and women are encouraged to apply. The position is open until filled; applications received by October 17, 2017 will receive priority.